Why are learning tips on budgeting so important? Creating a workable budget and managing it monthly are essential to your overall plan for good financial health. This includes spending within means, saving a bit each month, planning for the future, and avoiding credit card debt. To bring your debt under control, you first need to figure out where your money is going each month. Seems obvious, doesn't it? Most people have a good handle on their major expenses, like a mortgage or rent, car payment, even groceries. Yet, many don't realize how incidental spending – a little bit here and a little bit there – can really add up and impact your ability to pay your bills. To get an idea of your true spending, collect and save all your billing statements and receipts (even the receipt for the bottle of water you purchased at the corner store) for one month. Note the tips you pay, gas, donations, and any on-the-go expenses. Track everything. Then, do the same for any income sources. Collect your pay stubs, bank interest statements, and any other earnings. Put your expenses in a pile to your left side and your earnings in a stack on your right side. If you have expenses that come just once a year, then divide the amount you pay annually by 12 to get the monthly equivalent. Add that monthly amount to your expense pile. Now its time to calculate your total expenses and your total income for the month. You can do this the old "pen and paper" way (with a calculator's help), use a computer-based spreadsheet program or utilize budget management software. If your expenses come out higher than your income, you are headed for – or likely already have – some concerning credit card debt. Analyzing your income and expenses will give you direction on where you can cut expenses right away. The numbers also serve as a cue to begin applying tips on budgeting to bring your spending in line, if necessary. For example, if you have large, pleasure-based charges, such as a couple of $200 restaurant bills, focus on those to start your expense cutting. Eliminating some "nice-to-haves" will give you some bang for your "budgeting buck. If you don't have these larger cash outlays, look for multiple, yet smaller expenses that you could eliminate. For example, the cost of buying two or three sodas or candy bars from the office vending machine each day can really add up. Your goal is to get your total expenses less than your total income each month. If this is absolutely not possible because of job issues or other problems, or if you are already sinking into credit card debt, it's time for immediate action. 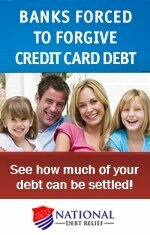 You can start by educating yourself about debt relief options by perusing the articles on this site. Then seriously consider reaching out for help. 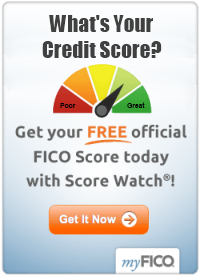 You will find organizations offering free information and resources at this link: Free Credit Card Debt Help. If you have few high-interest credit card bills, develop a plan to pay them off as soon as possible. Then, it's time to create a savings strategy where you put aside a little money each month in a savings account or similar. This serves as your emergency fund or cushion in case you ever come up short on funds for reasons out of your control. Set a goal of saving between 5 and 10 percent of your net pay each month, in addition to saving for your retirement. Keep a separate savings account for this purpose. Contact your financial institution and and initiate an automatic transfer from your checking account to this account on a certain day of every month. Once your emergency savings account reaches an amount equal to six months of pay, you can direct any additional earnings in other ways of your choosing. This may include investing your money or "saving" the funds for that special furniture item or a dream vacation. Yet, never use the money the emergency fund for other purposes. Be sure to give yourself at least three months before your budget firmly "falls in place," so to speak. Be ready to adjust your numbers, if necessary, to suit your practical requirements. Be realistic and careful not to go overboard with changes. Know your income, spending and savings goals... and ensure your budget reflects those goals. By following these tips on budgeting, you will be well on your way to reach your financial and budgeting goals, sooner than you think.